I January I owed $17,000 ($16,973) to be exact. And today I owe $0! Feels amazing. Now I will apply my old car payment to the mortgage on my Chicago duplex! 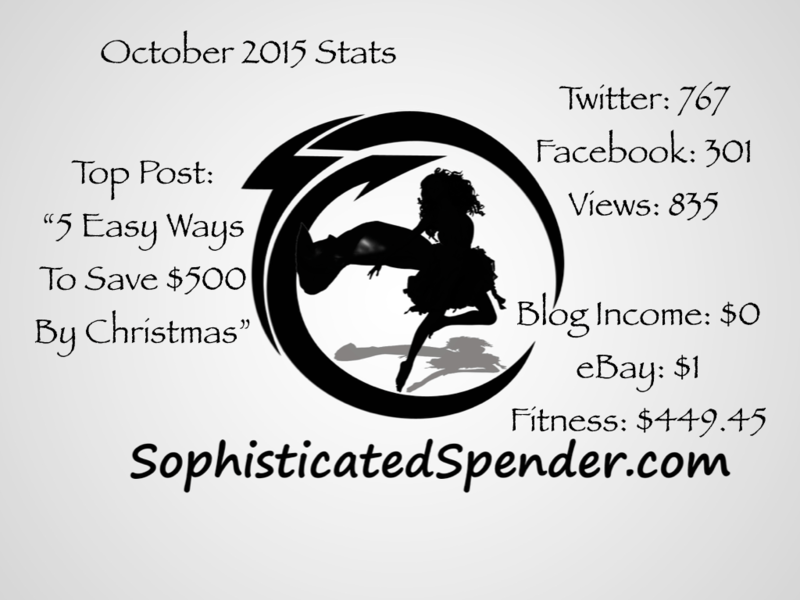 Readership: 835 views 741 views (94 more than September) Hello new comers! Fitness (Zumba and Insanity Instructor): $449.45 (I drastically reduced my schedule (again) and I am now only teaching 2 classes a week. Giving myself a little more freedom). I will try to increase everything by 5%: readership, followers, likes and side hustle income. CONGRATS on paying off your car! That is a major milestone and I”m sure you’ll gain those 5% readers and traffic as soon as you post “How I paid of $17,000 in 10 months” post. I didn’t know that you could sell old coupons on ebay and I will be looking more into that for later this month! And thanks for the post title idea!!!! !